Sir Cliff Richard has spoken about the support he received from his “faith, fans and friends” during his battle with sexual assault allegations. In July Sir Cliff won his High Court battle against the BBC over its coverage of a police raid on his home and was awarded £210,000. During the hearing the British pop singer told the judge that the coverage, which involved the use of a helicopter, was a “very serious invasion” of his privacy. Mr Justice Mann heard that in late 2013 a man made an allegation to the Metropolitan Police that he had been sexually assaulted by Sir Cliff in 1985. The allegations were passed to South Yorkshire Police in July 2014 who raided the singer’s home. Sir Cliff denied the allegation and was never arrested. In June 2016, prosecutors announced that he would face no charges. Sir Cliff sued the police, which ultimately settled the case for £400,000. 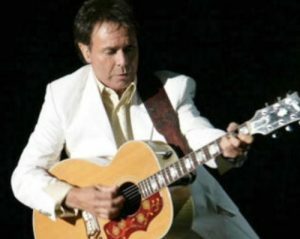 Sir Cliff, who was born Harry Rodger Webb, paid tribute to the support of his fans. “I came up one day and went to my front gate and it was covered in yellow ribbon and I thought, this is fantastic. Nobody that knows me at all could believe what happened. I pray that I’m stronger for it,” he added. Sir Cliff will play in Killarney on Thursday 27th September, in Dublin on Saturday 29th September and in Belfast on Sunday 30th September.